One ladies 30 year obsession. A huge collection of quality vintage clothes from the 40s through to the 80s all up for grabs. We also specialise in hand picked treasures from around the globe . Small shop located in the main street of Cessnock in the Hunter Valley wine country. They are a new shop selling vintage clothes and rock memorabilia, plus musical instruments. 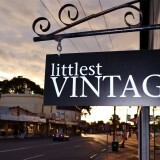 The shop was taken over by new owner who is only keeping vintage and designer or quality clothing. 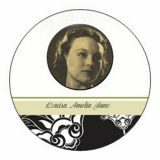 We sell a wide range of premium original vintage dresses, blouses, skirts and furs. As well as reworked vintage dress and handmade vintage inspired pieces. 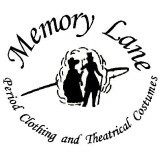 Memory Lane is one of Perth’s longest established Vintage clothing stores. We sell and Hire both men’s and women’s clothing and accessories from the 1970’s and earlier. We are all about fashion, style and personal expression for people and their spaces. We love the styles of yesteryear – the colours, the shapes and the details. A life that was less complicated, where things were made to last by artisans of their trade. We make it our business to seek out the best examples and bring them back to life for you to enjoy all over again. “Just because it’s vintage doesn’t mean it has to be expensive!” At Miss Behavin’ we believe everyone should look fabulously vintage on a budget.